Men Biker Style Slim Fit Real Leather Jacket In USA, UK, Canada, Australia, Germany, France, Russia & all over the world. Men Biker Style Slim Fit Real Leather Jacket is a best choice for you only if you like wearing celebrity style jackets. This jacket have many special features like its leather, pockets, color and stuff that was used to manufacture it. 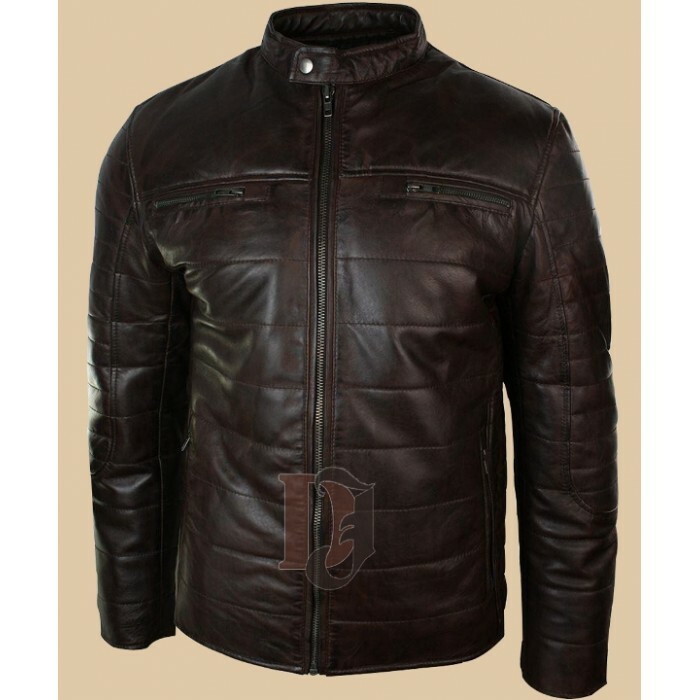 We are providing you with our distressed leather jackets in Chicago, Los Angeles, Dallas and worldwide so you don’t need to worry about your country or delivery possibilities. As name suggest, this jacket is a best wardrobe product for those who love traveling on their bikes. Now it’s a time to describe the features of this beautiful jacket. Have a look at its features. Men biker style slim fit leather jacket is made with 100% pure and genuine leather. 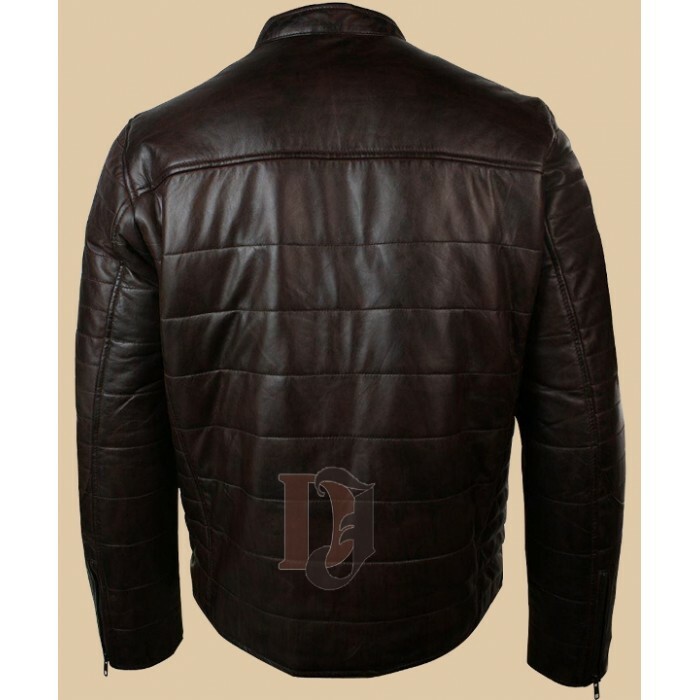 Dark brown color suites perfectly on and that is the reason why we call it a best leather jacket for men. Front zip closure of this jacket increase the style of the jacket and enhance your personality up to the latest fashion standards. You will also notice presence of buttons on jacket’s collars. You don’t need to worry about winters or cold weather because this leather jacket is equipped with internal viscose lining. There are four pockets on the front of this jacket, two zipper and two simple pockets.